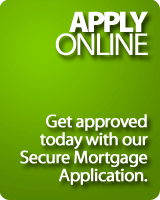 Canadian Mortgages, Insurance, Investment, Tax Planning: Why work with a Mortgage Broker? Today, about 30% of Canadian homeowners arrange their mortgages through mortgage brokers – independent specialists with extensive knowledge of mortgage lenders’ product offerings, their features and benefits, and contacts throughout the lender community to ensure competitive rates. 3. Can I get references from your clients? 4. How do mortgage brokers make money? 5. What is your experience with this type of transaction? 6. What is the process for closing my mortgage? 7. How quickly can it be done? 8. Which lenders do you work with and why?